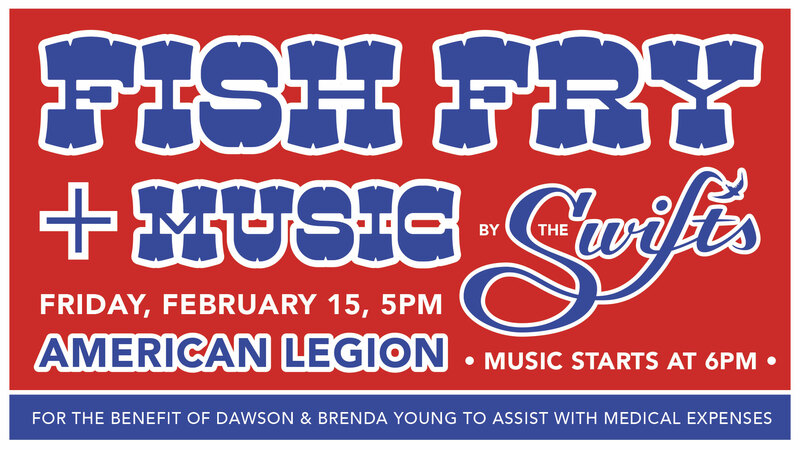 Fish Fry benefit to help Dawson & Brenda Young with medical expenses following an accident. Also featuring live music by The Swifts. Food service starts at 5pm, music starts at 6pm.